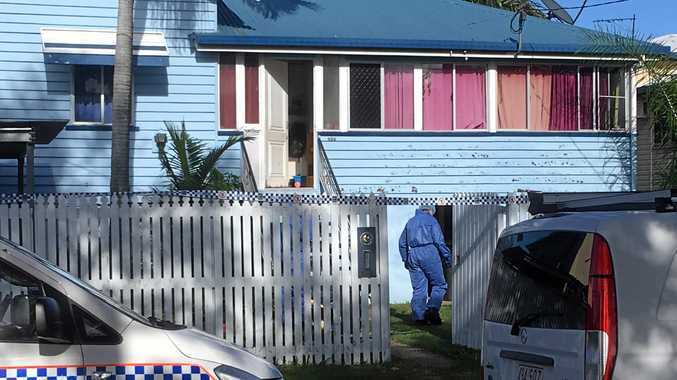 AT half-time and at full-time the boos rang down from the stands, the fans in mutiny as the Wanderers' turbulent season took a fresh turn for the worse. Defeat by two goals to none at home to Melbourne City left Western Sydney six points outside the top six, but the supporters' discontent told a wider story of disillusionment at the performances all season. Leaders of the club's Red and Black Bloc fans group left their seats behind one goal to berate the players at half-time, and many of the RBB left the stadium altogether shortly after. 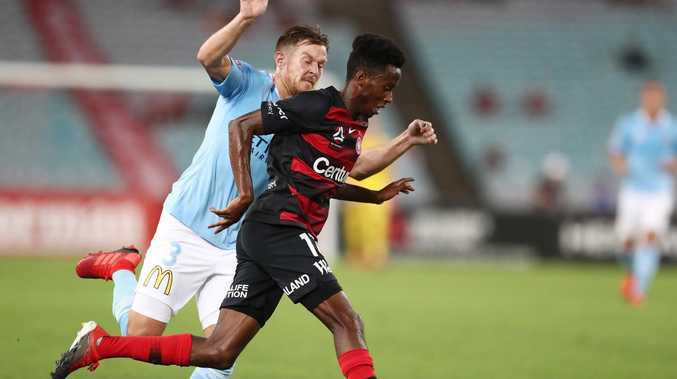 Two goals adrift by that stage, the Wanderers staged at least the semblance of a fightback, but coach Markus Babbel's slumped shoulders told the tale long before the final whistle. 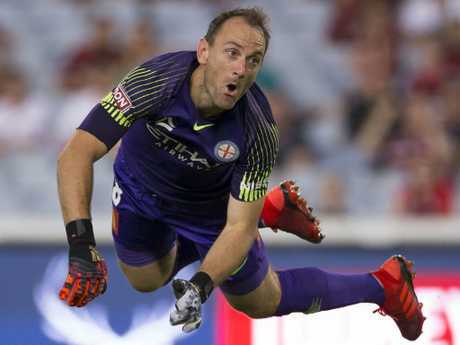 An astonishing trio of saves from veteran City keeper Eugene Galekovic in the game's final minutes denied the home side even a consolation strike, culminating in a plunge to his right to turn aside a penalty from Oriol Riera. 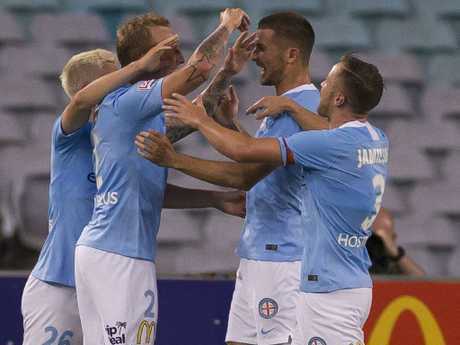 But in truth Western Sydney deserved little from a game that was no advertisement at all for the A-League during long stretches where the city's New Year's Day hangover seemed to have stretched as far as ANZ Stadium. "If you concede goals like this, it is very difficult," Babbel said. "In the first half I wasn't happy with the performance, I couldn't feel the energy. "We created two or three chances anyway but I told the boys at halftime, it's not good enough. If you don't have the energy you can't score." City deserved the win, if only for the efficiency with which they took two of their few chances, but it was the manner in which they scored that left the home fans fuming. The first goal symbolised a season where the Wanderers have been guilty of far too many basic errors, a carelessness that would not have been tolerated during the Tony Popovic regime. Conceding a throw in close to halfway on 35 minutes, the Western Sydney players switched off to a man. With half the defence out of position, Dario Vidosic simply hurled it down the line to Lachlan Wales who turned and hared towards goal. As Raul Llorente desperately tried to cover, Wales dinked the ball over Vedran Janjetovic with impudence. For Llorente, left on the sidelines for weeks, the evening was about to become even more bleak. Twisted this way and that by Riley McGree on the right wing, the Spanish fullback could only watch as McGree slid the ball infield for Ritchie De Laet to drive a shot across Janjetovic and in. Even the dismissal of Rostyn Griffiths for a daftly unprofessional pair of fouls by the 56th minute couldn't change the Wanderers' narrative, and the crowd of 8365 is unlikely to swell with two more home games in the next week. It has been said many times that the club can't wait to get to Parramatta Stadium for next season, but the pain along the way will, it seems, be considerable.